Hello TechDavids readers, this article is in different section so you have to follow us strictly and this article is mainly for Widows user. PC is unpredictable , it might develop some funny faults which you think sometimes is above you but nevertheless, Man made things can not be above man, the solution will also be provided by man. That is why today we brought to you how can remove viruses or malware on your PC, As for me, once I notice that my PC is hanging, slowing unnecessarily or popping-up unusual command, now I know virus is knocking at the door so i have to scan and remove those viruses to bring my PC to better position. I know some you might not know how to scan and removing viruses on your PC then you start spending money for Engineers on something that does not even affect it, that is why today I brought to you this topic so you can be able yo detect and fix viruses or malware in your PC. You would agree with me that there are viruses that come up on PC just to have your credentials then damage them like creating virus to cause crime on system by stealing like bank credentials, credit card, educational credentials and many more sensitive data. All this viruses has their way of tackling them so they won't harm your PC and also the credentials. We all know that their are some normal virus that you can just use a weak Anti-Virus with it and clear them but there are also viruses that need a strong and eligible Anti-Virus to carry out it's operation by scanning and clearing those viruses, your techniques is also required in this case just to make sure you don't do the wrong thing. You have to agree with me that once there is Anti-Virus on your PC and there is Virus in the PC, the Anti-Virus will pop-up a message telling you that "Virus Was Detected"
So if you notice something like that, this means you have a file that has been downloaded on your PC which is dangerous to it so it will prompt you that virus was detected and it will be deleted, there are sometimes in which you will download a file and wouldn't see it on your device or PC again then you will start wondering and downloading it all over and all over again just to know what is happening, don't be worried about sometimes like that, since you have Anti-virus on your PC, you have to know that the Anti-Virus has detected it and has been deleted instantly before causing damage to the PC. In some cases, it might be a web-page you want to access and the site is full of Malware, with the help of Anti-Virus, you might not be able to access that web page completely. 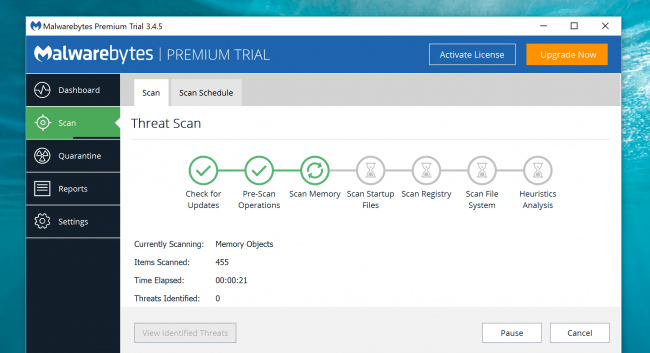 >>Download and run a scan with Malwarebytes, the single best anti-malware tool on the planet. This is not an ordinary antivirus product, it’s designed to solve modern threats. This Malwarebytes is only product on the market that can easily clean up crapware and spyware because this made mentioned ware are very dangerous unlike others. >>Start a scan of your PC. It’s going to walk you through cleaning up your system. Now, it's left for you to purchase a license to clean up your PC though it's not compulsory but if you don’t want this to happen again, you may purchase it, once you use the license for clean up, it will make sure you don’t have this kind of issue anymore. Before we proceed, if you want to check for Malware you find and remove them, you will need an antivirus program such as Windows 8, 10, Windows Defender. I ought to include Windows 7 but since it doesn’t include any built-in antivirus, You can also choose Avira. >>Open it and start a new scan. Instantly, it goes through and fully scan on your system to see if there’s anything it missed. By default, Windows Defender runs in the background. Am very sure that once you use the combination of Windows Defender and Malwarebytes, it will get rid of the vast majority of malware that you might encounter. You can still leave the windows Defender and Malwarebytes running to keep your PC more protected. Well, in some strong cases, the combination of Malwarebytes and windows defend might not be able to get rid of the Malware, so what are you going to do. What do i do if the combination of both Malwarevytes and windows defender were not able to get rid of the Malware? Once you notice you have a very stubborn malware infection, you will need to scan for malware from outside your normal Windows system. >>Boot Windows into Safe Mode: This will keep it from loading normal start up apps including the stubborn malware. >>Run a Windows Defender scan and then a Malwarebytes scan from within Safe Mode and it may have more luck removing the Malware. >>Then Restart and go to Safe Mode. You can also use a bootable Anti-Virus tools as a last resort, this is used if that above process doesn't work, you will need to step completely outside of Windows and use a bootable antivirus tool. This type of antivirus tool boots into a clean environment (entirely outside Windows) to find and remove stubborn malware you may not be able to see or remove from within Windows itself. To do this, you can make use of the Windows Defender if you are using Windows 10, Other antivirus software can do this too, you can look for antivirus “boot discs” like the Avira Rescue System if you want to make use of the bootable Anti-virus tools for stubborn Malware. There is also another option from Windows Defender. Once you already have an antivirus program installed, but you think you may have viruses it isn’t detecting, just use the second opinion from another antivirus product. For Windows 10 user, it good to make use of Windows Defender because you can use it to scan virus manually and can scan on a. 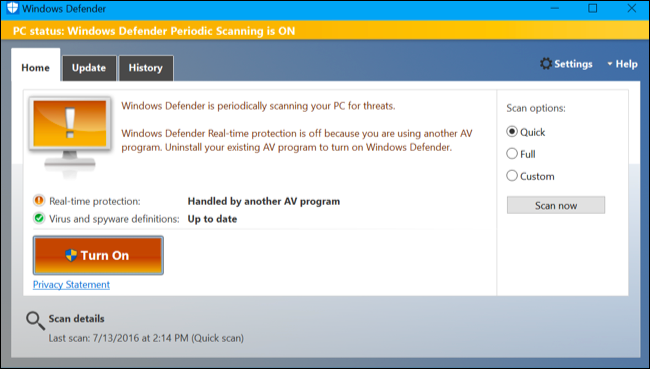 If the Antivirus does not complete it scanning or miss out a virus out, Windows Defender will do that. This is the guide to enabling and using that option. You have to note that a variety of other antivirus providers make one-time scanning tools available for instance, the ESET Online Scanner. It helps you to download your computer and do a quick scan without a long installation, once you notice that the scanner alerts you to a problem, you should set yourself to remove the malware so once you if the virus show up finally, You may want to uninstall it and install another antivirus product after the process is complete. There are sometimes in which you will experience Adware and some other Junk so before you experience this, you should install Malwarebytes before it's too late because they are very dangerous. If you are operating on a computer, you should note that Antivirus is not only enough yo protect it, you have to get more inclusive anti-malware program because is not all file that on your PC the normal antivirus will detect it fix, there are some junk ware that is just program on your PC browser, search engine to fetch income to it's creator so for normal antivirus to fix it might be somehow terrible but once you are able to install anti-malware program on your PC, it will surely show so you will notice it once you are trying to download a program into your PC. Sometimes the junk ware might have been on your system already when you haven't installed the anti-malware program and you want to remove them. Like I said earlier, if you want to fix the junkware, you should get the MalwareBytes Anti-Malware. As long as you occasionally use it to scan your system, you’ll be able to keep yourself free of obnoxious software that isn’t detected or removed by your average antivirus program. Since it includes anti-exploit protection, it will keep your PC safe. There are sometimes that nothing can remove the viruses properly so you know it will damage your system or some malware which can make your Windows still not working properly even after removing the viruses. It's better you should go for the “nuclear option”: reverting your computer to its factory state, that is resetting your system to factory reset default. Once you are doing the factory reset, your personal files might be kept but its certain that your installed programs will be removed and your PC settings will go to factory default reset. 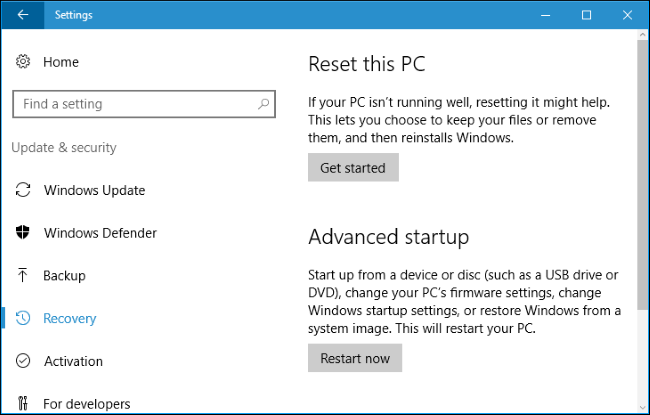 It might not be easy for beginners to factory reset the PC if it's not Windows 8 and 10 because windows 8 and 10 s is much easier, the only thing you have to do is to go to your PC settings and click on “Reset This PC” feature to reset Windows to its factory default settings. But for Windows 7 PC, your manufacturer probably provides a restore partition you can access by pressing a certain key during the boot process. Consult your computer’s manual for the exact key you need to press for this. After doing all this, you can also reinstall Windows on your computer by downloading Windows installation media for your computer from Microsoft. My advice to you before i conclude is that If you had ever encounter battle with malware once, try to do everything you can do make this the last time. You should make sure you always do these things listed below on your PC..
3. Avoid running potentially dangerous software. NOTE: Make sure you have a backup of any important files before wiping your hard drive and reinstalling Windows! For any request or complaint, kindly make use of the COMMENT BOX, We are here to solve your complain anytime, anyday.. Don't be selfish, try to share this post to you friends and relatives.